Search D.C.-area events and locations. Find movies, restaurants, bars and clubs. ATLANTA -- Primate expert Jane Goodall and 18 other researchers sent a letter to federal officials urging them to oppose an Atlanta research center's proposal to do AIDS-related research on sooty mangabey monkeys. The letter urges the U.S. Fish & Wildlife Service to reject a request by the Yerkes National Primate Research Center, according to a copy filed with the government. Scientists at the research center have nurtured a group of the primates, which are natural carriers of a form of the AIDS virus but don't get sick from it, since the late 1960s. But federal officials listed them as endangered in 1988, leaving the center with the world's largest collection of captive sooties but little hope of scientific benefit. The research center argues that its mangabeys, a subspecies of the endangered white-collared mangabey, aren't truly endangered. It is asking Fish & Wildlife to consider the subspecies separately. Yerkes officials are proposing helping conserve sooties in the African wild in exchange for permission to do AIDS-related research on captive sooties. Federal officials have said such a trade-off has never before been permitted. In a letter dated June 19, Goodall and others say they hope it never is. The letter, provided to the Associated Press by People for the Ethical Treatment of Animals, said approving such a deal "could open the floodgates to future permit applications premised on allowing entities to kill or otherwise harm endangered species in exchange for making financial contributions to conservation programs." Goodall could not be reached for comment, but her involvement was confirmed by a spokeswoman with the Jane Goodall Institute for Wildlife Research, Education and Conservation. PETA, the New England Anti-Vivisection Society and eight other advocacy groups also submitted comments opposing the research center's application. British-born Goodall began studying chimpanzees in Tanzania in 1960. 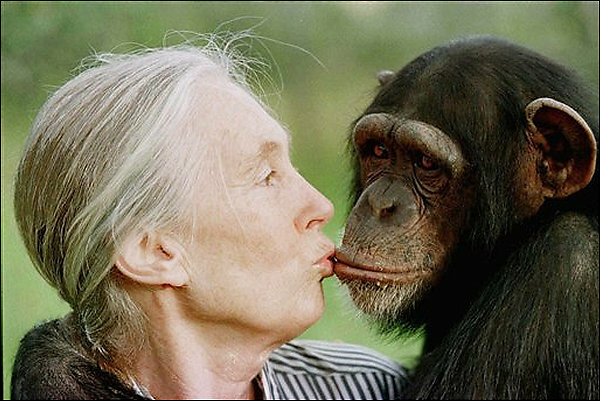 Her studies have helped revolutionize humanity's understanding of chimps. Last year, Yerkes, which is part of Emory University, began providing up to $30,000 a year to a primatologist's conservation and research of sooties in the Tai National Park Reserve in Ivory Coast, West Africa. In July, the center wrote Fish & Wildlife seeking the right to conduct research on the Yerkes sooties "given our contribution to sooty mangabey conservation." Tim Van Norman, the Fish & Wildlife official to whom the letter was addressed, could not be reached for comment. A Yerkes spokeswoman declined to comment. She said Fish & Wildlife held a public comment period on the research center's application that ran from May 18 until June 19.